It is always fun to have a little bit of escapism from our day to day lives. So just lately I have been participating in an Altered Apron Swap. The idea originated from my round robin pal Heather and her friend Stephanie . I was so glad to be asked to participate because I have missed doing these swaps and the good thing was that Heather and Stephanie put a collection of bloggers together that all had similar taste therefore we were all matched very well. I SURE WAS !!!! I had always wanted to have Jenn in a partner swap for a long time. So I was extremely excited when I found out it was her. I was equally honoured to find out I was making for Stephanie ~she is new to blogging and one of the organisers of the swap so I wanted to do something extra special for her. 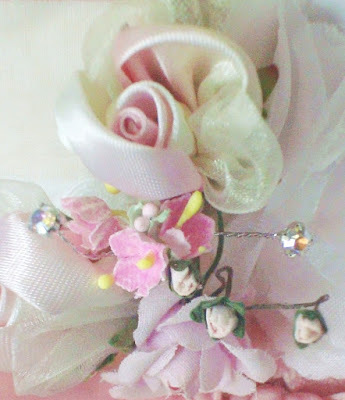 and tied with beautiful ribbon ~ what a colour ~ and the rose too. I will keep these just like this. Jenn had asked me what sort of thing I would like and of course I wanted something uniquely Jenn ~ I wanted her to have fun and not worry. I know what she is capable of and wanted all the whimsical, fun, innocent, frou frou, blingee Southern Charm that she could muster up. She did not disappoint me. 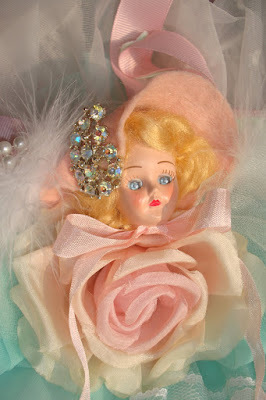 A beautiful Southern belle, white picket fence pocket, frou frou in the prettiest colours and bling. 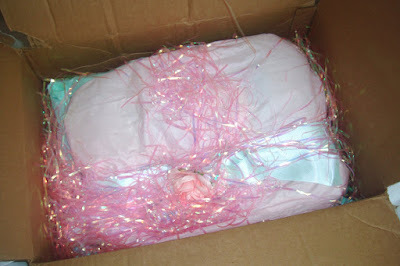 It is all sooo stunning and everything that I wanted ~ see my link to Jenn above because her photo's are just gorgeous and way way better than what I was able to do. Jenn you really did make the most gorgeous apron for me, I will always remember you and all your Super Sweet Southern Style. For the apron I was making for Stephenie ...... well you will just have to wait . 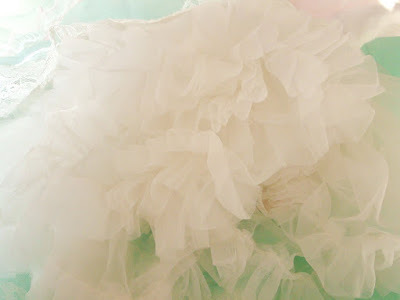 ruffled and frou frou'd it with a dash of bling . Sorry just peeks at the moment. Come back for part 2. Ginny, the apron that Jenn made for you is so beautiful...i love the pocket detail most of all, it really could not be any cuter...i can't wait to see the creation you made for Stephenie...the peeks are gorgeous!!! 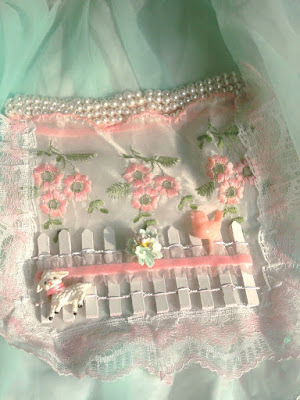 Hope you have a wonderful week..
LOVE this peek of your apron for Steph... I can't wait to see it. no doubt it will be STUNNING. 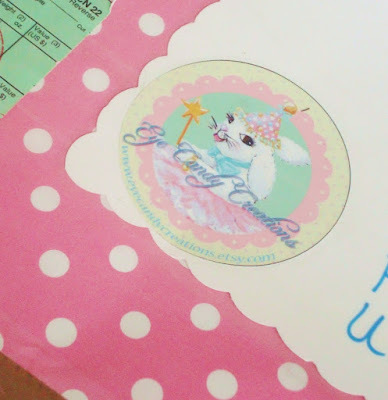 I am so happy that you decided to join the swap! 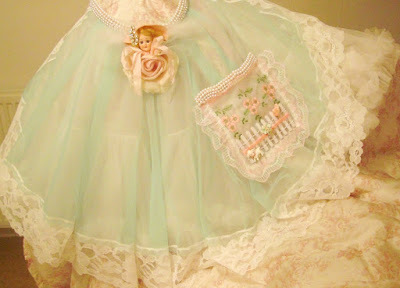 Your apron from Jenn is so flirty and sweet, with gorgeous detail! 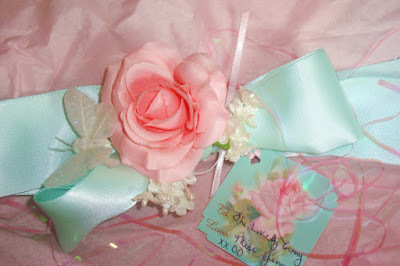 I can't wait to see your beautiful creation for Stephenie...! Hi Ginny your apron was really darling and sweet!!! 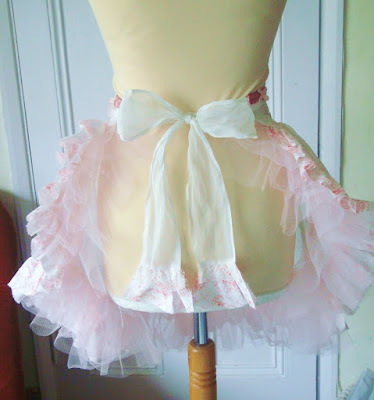 Perhaps i saw jenn's apron was really darling too:) you girls are just so talented! 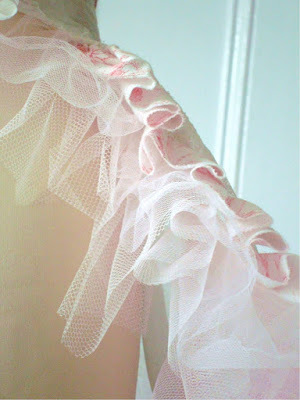 hi Ginny, I've been blog hopping, checking out all the wonderful aprons! how lucky for you to recived Jenns. Its ao perfectly Jenn isnt it? Cant wait to see how yours turns out. 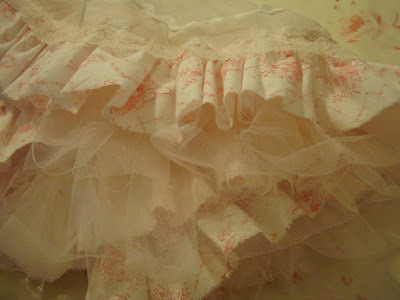 so far the peeks are promising of pink frou frou greatness! have a sweet and creative day! Oh, what a sweet apron! Absolutely stunning. Such imagination! I'm sure you were so excited when you opened it. Can't wait for Altered Apron Part 2!